Posted by Jon in MAFEX, Medicom, News with 0 comments. 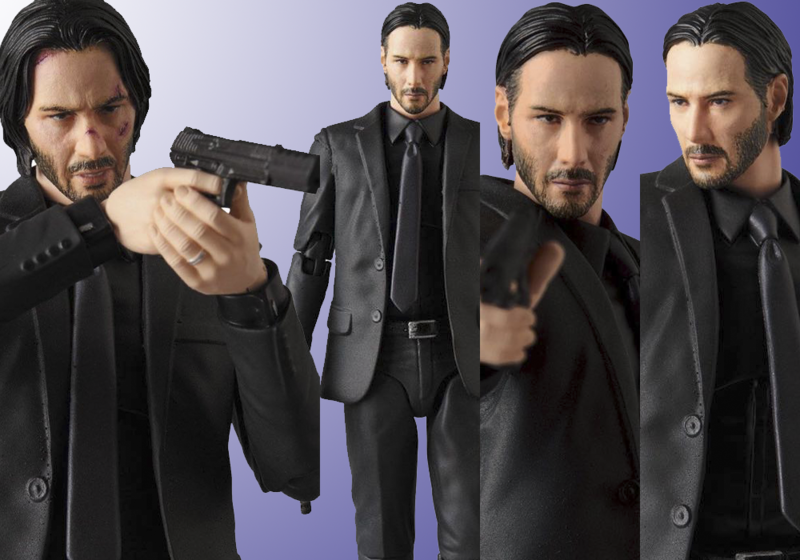 Fans of the Kean Reeves John Wick series now have yet another action figure option! Medicom has just revealed their MAFEX John Wick which is slated for a January 2019 release. As can be expected with a MAFEX figure release, it comes with a decent collection of accessories. Based on the official pictures from Medicom, John Wick looks to include two head options: normal and beat up. There are multiple sets of hands included and four different guns. Sadly, no dog is included!